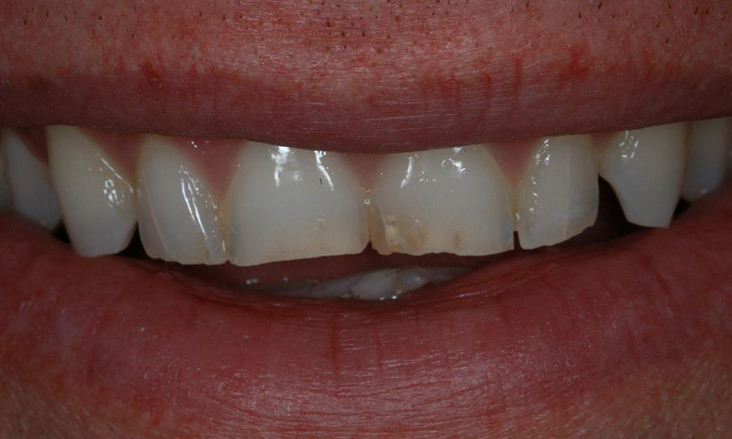 This 39 year old male had fractured his upper front teeth and then wore down other teeth from a grinding habit in his early adult years. 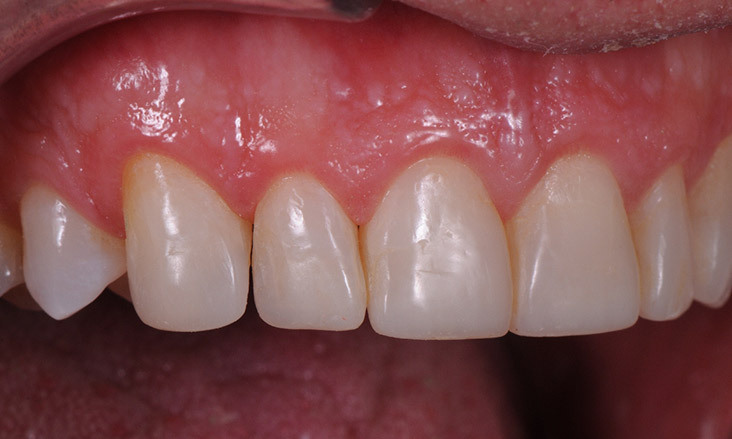 He wanted an improvement to the appearance of these teeth especially and colour and shape. 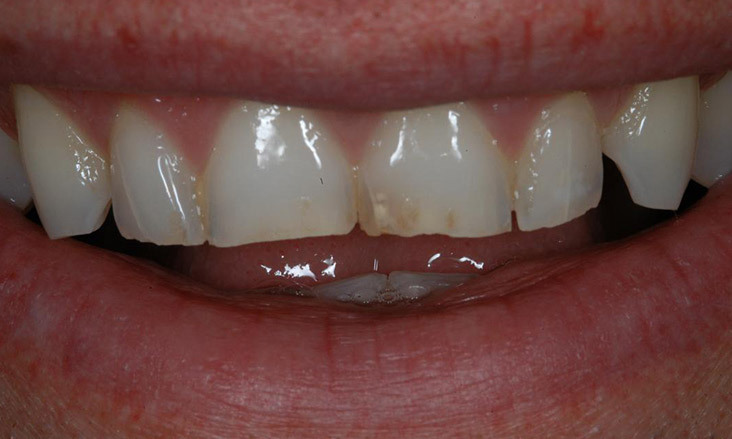 He initially did at home tooth whitening using a product supplied by his dentist so that he could get his teeth to the appropriate shade for him. 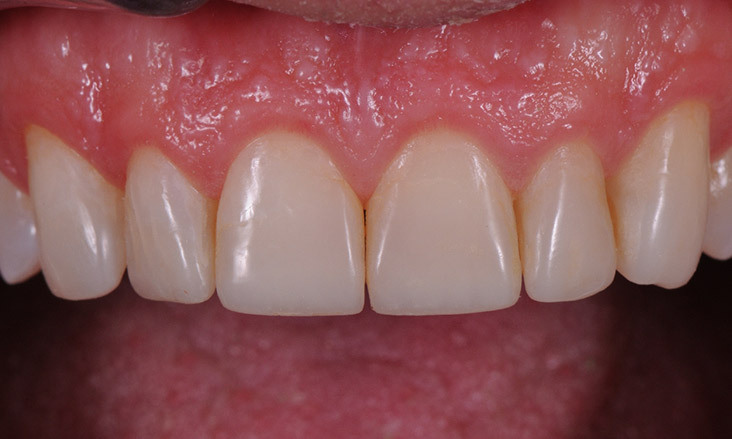 Then he had his teeth built up in a tooth coloured filling material (composite resin). 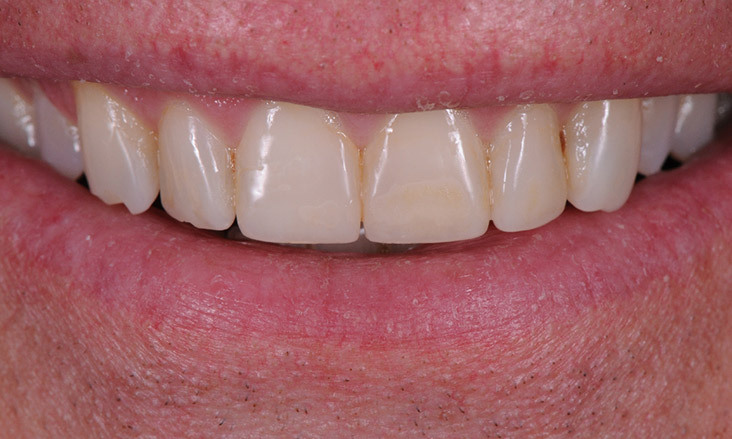 The composite resin was added to the 6 upper anterior teeth to improve their shape and appearance. 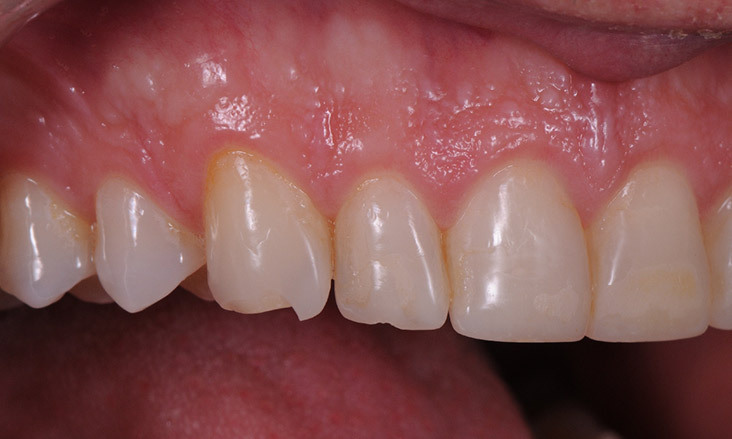 In one image you will notice that the upper right canine tooth has a chip out of the resin. This is easily fixed by addition of further resin. These restorations and photos are courtesy of Dr Michael Mandikos.